The First Year of the Receiver War. The SX-1010 was Pioneer’s flagship Receiver for 1974 and retailed for a hefty $699.99 USD which would translate to around $3,269.00 USD today. Pioneer’s revolutionary 1010 was driven by a Direct Coupled Parallel Push-Pull OCL Power Amplifier powered by Dual Power Supplies incorporating two massive 18,000uf filter capacitors. This amplifier effortlessly produced it’s advertised 100 Watts RMS minimum output with only 0.1% THD and matched it with an impressive amount of head-room. Physically it was an impressive unit measuring over half a meter across and weighing a hefty 22.2 kg and was finished in genuine Walnut veneer and featured a stunning cool-blue backlit tuner dial and shining aluminum fascia filled with an array of toggle switches and dials. This unit also came with a plethora of tone control options including Pioneer’s unique dual, two-stage Bass and Treble controls along with a bunch of dubbing options and twin turntable inputs. None of the other manufacturers had anything that came close to touching the performance of the Pioneer SX-1010 upon its launch in 1974. Sansui’s Top-Of-The-Line Receivers the 881 and the 9010 were measuring only 63 Watts per channel in an IHF rating (which means it would have been much less than 40 Watts RMS). 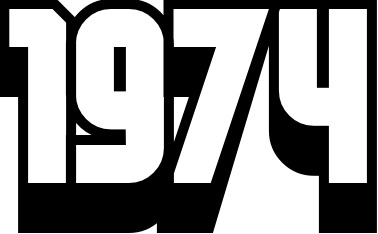 Kenwood’s KA-7002 was rated at 70 Watts per channel RMS, the Marantz 2270 was delivering 70 Watts per channel RMS and Yamaha’s CR-1000 was rated at 70 Watts per channel RMS. Pioneer had thrown down the gauntlet to the other manufacturers who had to scramble to respond. Marantz was the first to topple Pioneer’s claim to having the most powerful Receiver on the market, and in August of 1974 they released the superb and absolutely exquisite Marantz 2325 Receiver. How had Marantz responded so quickly? 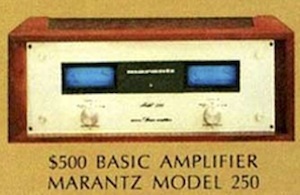 Marantz already had a dedicated power amplifier component, the Marantz 250, that was producing 125 Watts RMS per channel. Marantz essentially took this amplifier and built a receiver around it. To achieve 125 Watts minimum RMS per channel at 8 Ohms both channels driven the Marantz 2325 utilised a dual power setup (dual secondary windings sharing a primary) and two 15,000uf filter capacitors to drive a Direct Coupled Full Complimentary Symmetrical Output Power Amplifier. The other important performance metric is of course Harmonic Distortion at the rated output, which the Model 2325 scored 0.15%, note that this is 50% more distortion than the Pioneer SX-1010. A difference of 0.05% might not seem like much but very shortly fierce competition was about to erupt on this metric as well. Aside from performance the Model 2325 incorporated many top-of-the-line features including a Dolby processor that could be applied to various inputs, triple tone controls with adjustable frequency ranges, and that unique ‘gyro’ tuner dial that was to remain on all Marantz receivers into the next decade. IMHO this generation of Marantz Receiver’s are amongst the most beautiful ever made and featured a cool blue back-lit tuner dial with push-button controls. A walnut cabinet was available at an additional cost. Retailing at $799.00 USD (~$3,855.00 USD in 2015) this system cost a full $100.00 more than the Pioneer SX-1010, but then, that’s what you had to pay to own the most powerful Receiver of 1974. Some people debate which was the first 100+ watt per channel receiver: The Pioneer SX-1010, the Kenwood KR-9400, or the Marantz 2325? It doesn’t matter, they are all great receivers! Great write up on the Receiver Wars. However, it’s a shame that the Sansui G-8000 or G-9000 was not even mentioned because they were actually the 2 most powerful Sansui receivers of the 1970’s. The 22,000 and 33,000 are NOT receivers. They are a separate power amp with a preamp/tuner. Yes you are right! I did mention that Sansui (and Rotel) were technically CHEATING but decided to make allowances for it because the G22000 & G33000 are just so AWESOME! Maybe I am being corrupted by modern politics When I get time I will have to mention the G9000. An absolutely lovely article. I was a young lad in the 70s when my dad bought a SX-939; not a monster but close to it. I enjoy vintage audio and apparently so do many others! Nice write up. This is the most extensive chronological account I have seen of the major blows in the war. Most turn into a list of “all the monsters”. The last page regarding the real purpose of this type of equipment seals the deal on this being a well thought out article. I enjoyed reading the article. I thought you did a great job compiling the key elements of the receiver war for a historical and educational perspective in a nutshell and included specific specs on specific models of receivers as support . This article wasn’t meant to showcase all the wonderful receivers during that time. There’s other articles and debates on that. Every person involved in the receiver war has a favorite and excuses why others wouldn’t be given the time of day, even if they were better. Right Marantz people? On another note- I’d like to think the real winners of the receiver war are the receivers that are still going strong, all original , without issues, and without the ‘for its age’ excuse. I delighted to read these lines. Thank you for resurrecting the genealogy of these timeless monsters. In my collection i have 2 Marantz 2270, one Pioneer SX-850, one Pioneer SX-950, one Pioneer SX-1050 (bought 2 days ago) and the Sansui 9090, my all time favorite one! in the future i want to get the SX-1250 and the Sansui9090DB. Please write an article about the Marantz 2270. He is not one monster receiver, but he deserves it. It would also be good to write a review about the SX-1050, the little brother of the Pioneer SX-1250. Fabulous website! Thanks for all your work putting it together. One correction: Your quoted power of Yamaha CR1000 is wrong. Its correct RMS rating (20-20kHz at 0.1% THD), is 70wpc @ 8 ohms. IHF rating is 100wpc @ 8 ohms. Not “40wpc RMS” and “70 wpc IHF,” respectively, as stated in your article above. For reference, I cite the manufacturer’s original brochure, which can be found in the online HiFi Engine library. Thank you, in advance, for making this correction. Done! Thanks for the info. The Monsters little family members watched the war from a different side. These models may be known as “Mid-Fi”, “Lo-Fi”, or ‘If-Fi’. 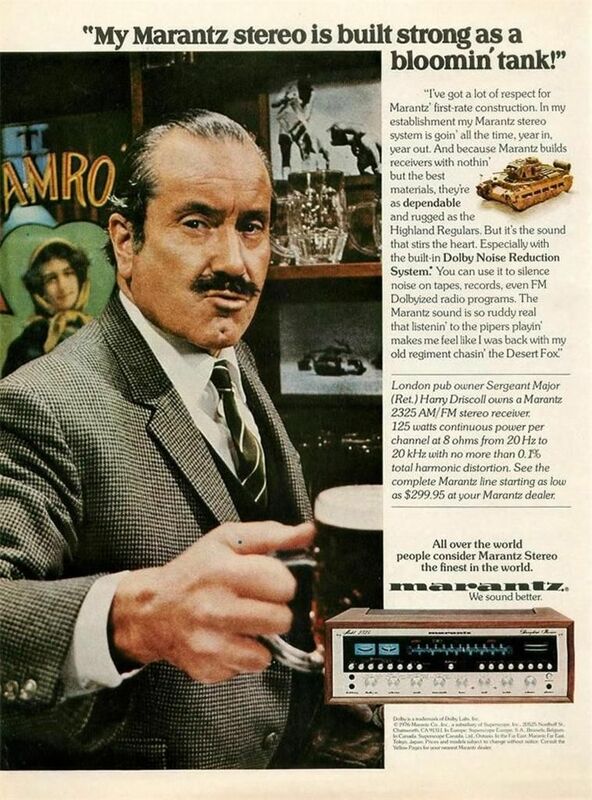 If I had way more money then I would’ve bought a Hi-Fi monster. And eventually I did. Now I have that and everything in between. I love the big receivers but when I use the lower tier audio I’m more at ease since the big ones , if something should happen to them….it’s not that simple and cheap to remedy the situation. There’s more at stake. Then again the rewards are somewhat higher too, although that’s subject to debate. What I’m saying is let’s not forget the ones in the garage, bedroom, basement, man cave, dorm room, spare room, office, the one you brought to the girlfriends house (future wives?) and the ones she made you get rid of in your house.